We extend our heartfelt sympathy to the people affected by torrential rain and landslides in western Japan, which occurred in July 2018. Soon after it became apparent that the torrential rain had disrupted infrastructure and we received a direct call for support. 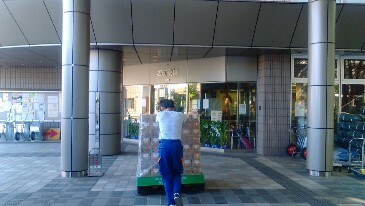 We dispatched our 4-ton truck with aid to Mihara City and Nnoshima Island. We brought food, drinks and other relief goods to the affected areas upon requests from local governments and emergency relief organizations. 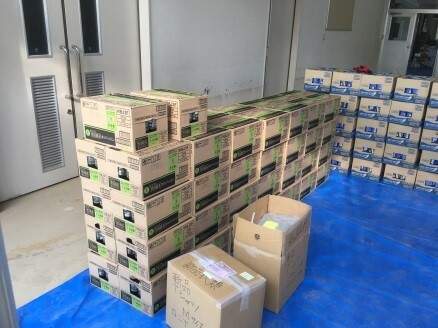 ※These relief supplies came from our current donors. 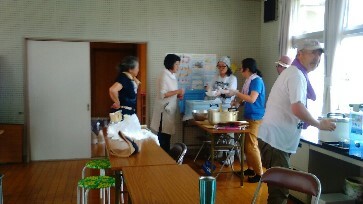 We also received other relief supplies from the Fukushima Prefecture government. 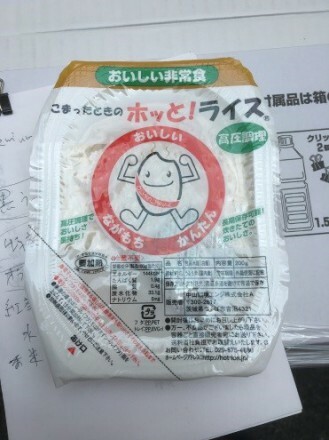 ● Vegetable juice is appreciated since it is difficult to have fresh vegetables at shelters. ● Many people want to go back home since there is little privacy at shelters. ● It is expected that there will be a need for a soup kitchen after shelters are closed. ● It is not clear what the situation is for those who have not evacuated. ※　We have received the donation from Japan Platform to be used for some activities mentioned above. With regards to the progress of disaster relief and recovery, the situation at shelters and for those who have returned is continuously changing and the support needs are becoming more and more wide-ranging. Based on our past experience in previous disasters, we expect that we will be facing more needs for food support during the recovery and rebuilding phases. If people have food security they can concentrate on getting themselves back on their feet. We will continue to try assess what the needs of those affected are and make necessary preparations to meet such needs from mid- and long-term perspectives. 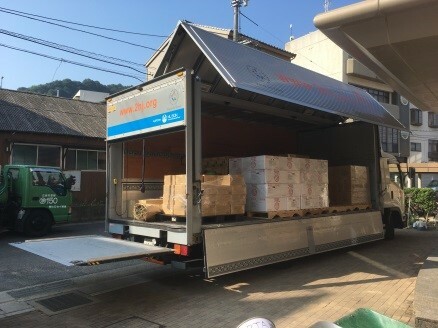 We are committed to building a food safety-net in our community under the slogan of “Food for all people,” and our effort to support people affected by torrential rain in western Japan is a part of our activities to achieve that goal. We appreciate your continued support. It is a great help for people in need to make a positive step in their lives. Second Harvest Japan’s New Website!